After an amazing week in Poland, we arrived in Berlin towards the late evening. I dropped Anjli off at our hotel and went off to return the rental car. We were both pretty exhausted from the drive, so we turned in and had a good night’s rest to ready ourselves for the following day. We started the day with a free Walking Tour (highly recommend this) of Berlin which started at Brandenburg Tor, a huge pantheon like city gate with a statue of what the tour guide described as the worst German Citizen ever. Her name used to be Irinie, the goddess of peace. Ever since her appointment, Germany has never had peace. Eventually they changed her name to Victoria and Germany has lost every war since her renaming. Hence, the worst German citizen ever! 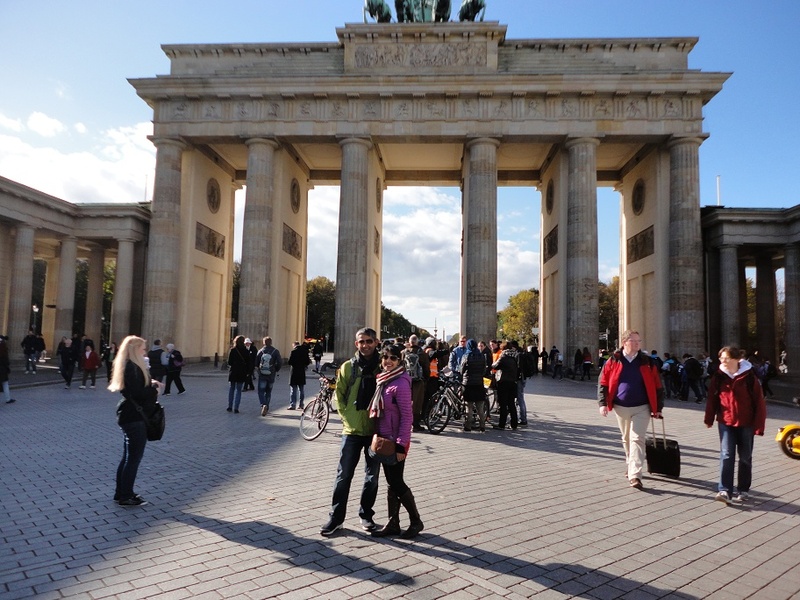 Here’s a picture of Anjli and I in front of Brandenburg Tor. Perhaps appropriately, the random bypasser that took the photo cut Victoria out of the photo. 😛 From there we moved on to see many other sites around Berlin. Incredible history at every corner and much of it focused on the Holocaust and atrocities committed during World War 2. 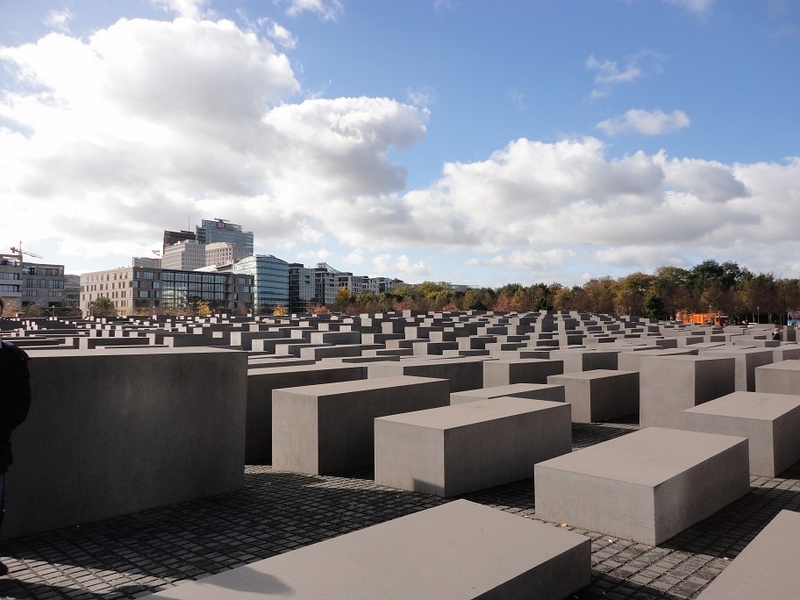 We also passed by the Memorial of The Murdered Jews of Europe on our way to a parking lot. We arrived at this parking lot and our tour guide stopped. All of us looked puzzled at each other as to why we had stopped in a parking lot. The tour guide continued to explain that under that parking lot was what remains of the bunker where Adolf Hitler and his girlfriend Eva Braun spent their last days. It was in this bunker, with the Red Army and the Allied forces approaching, that they committed suicide. What was moving about this whole deal was that the tour guide never once mentioned Hitler’s name. He simply referred to him as “You know who” or “That terrible person”. Even uttering his name was considered unnecessary. A parking lot seemed suddenly appropriate for this individual. After finishing the walking tour, we spent a few hours at the Memorial of The Murdered Jews of Europe, which was directly across the street from this parking lot. There are over 2000 of these concrete blocks here of varying heights. When people asked the designer, Peter Eisenman of Newark, New Jersey, what are the concrete blocks supposed to represent, he replied “you tell me”. This piece is meant to be interpretive. It is to the visitor what they see. Anjli immediately thought of coffins and the sheer number of blocks across the landscape is meant to give you a scale of the number of Jews (6 million) that lost their lives. To me, the blocks looked like bar graphs and the fact that their were so many signified the scale of the loss of life. Under this landscape is a visitor center that gives additional history of the Holocaust. Especially moving was a room where a piece was dedicated to individual families, where they lived, what they did and how their lives were forever changed through the events of World War II. It also showed names of individuals, how and where they died along with personal artifacts (letters, etc.) that had been found and preserved. Seeing personal stories put a very emotional and real face to a very large and incomprehensible number (6 million). Anjli and I spent three hours here, reading, reflecting and trying not to get teary . Though a few people did walk tearfully through the exhibit. We walked to the train and back to our hotel in relative silence that night just thinking and reflecting. 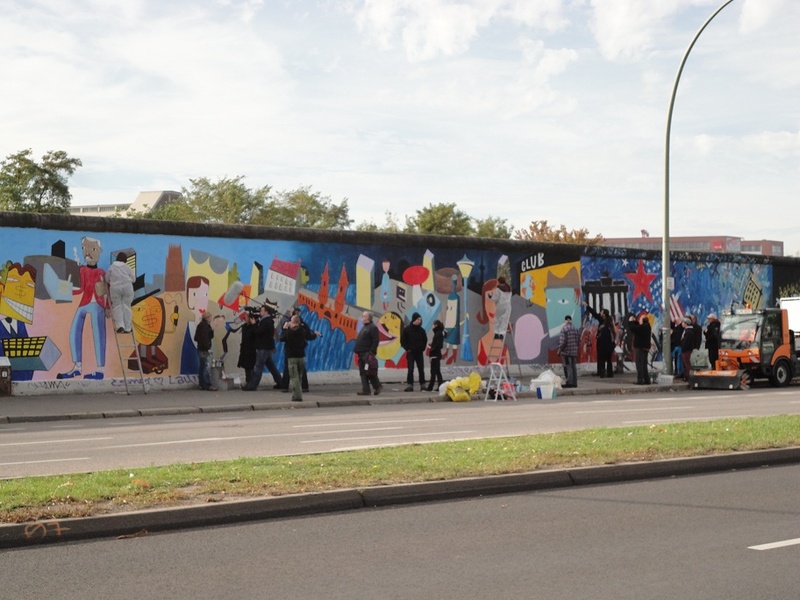 On day 2, we decided to check out the East Side Gallery (Wikipedia) where sections of the wall have been dedicated to graffiti art work by famous artists. Afterwards, we checked out the Memorial of the Berlin Wall. 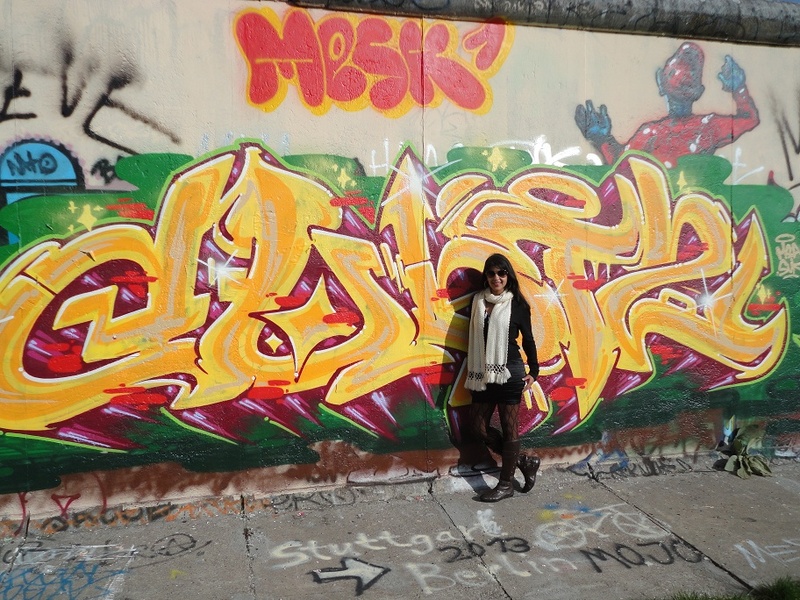 After a light breakfast, Anjli and I walked to the East Side Gallery (Wikipedia), which was a short 10 minute walk from out hostel just east of the Mitte area of Berlin. 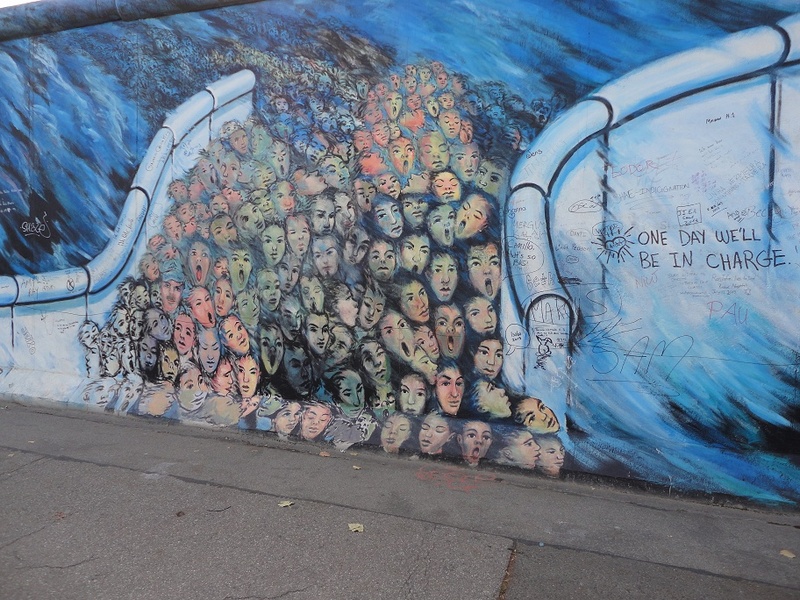 The East Side Gallery is a section of the Berlin Wall that was dedicated as an art gallery. 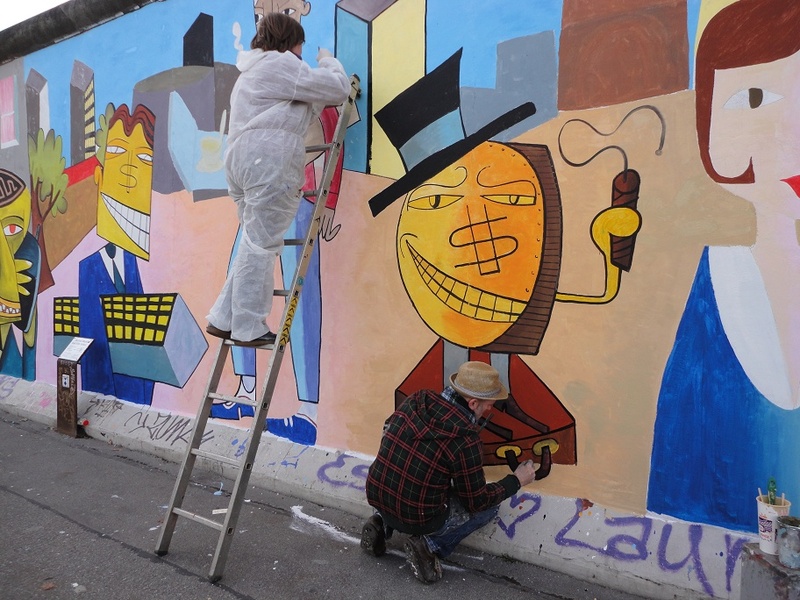 A number of years ago, artists were invited from all over the world to paint a section of the wall. 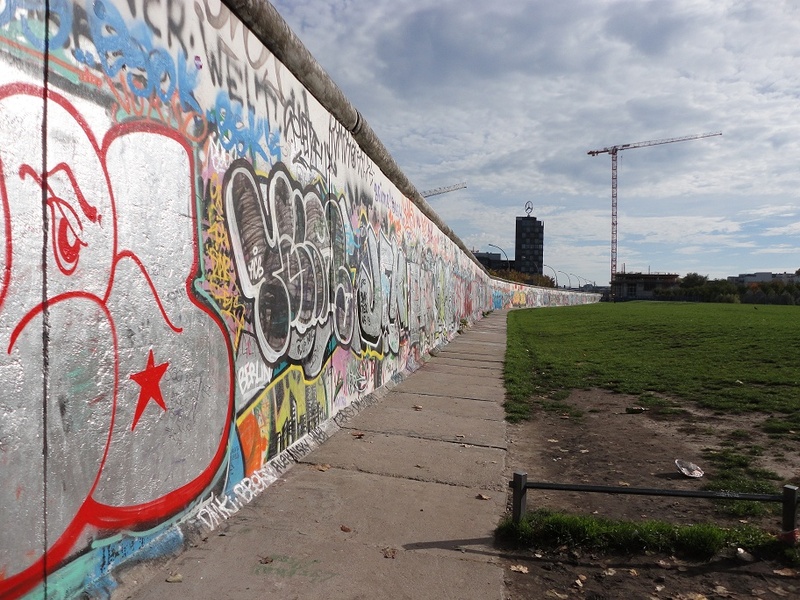 The wall which once symbolized oppression of the people of the GDR has now become a canvas for beautiful art. 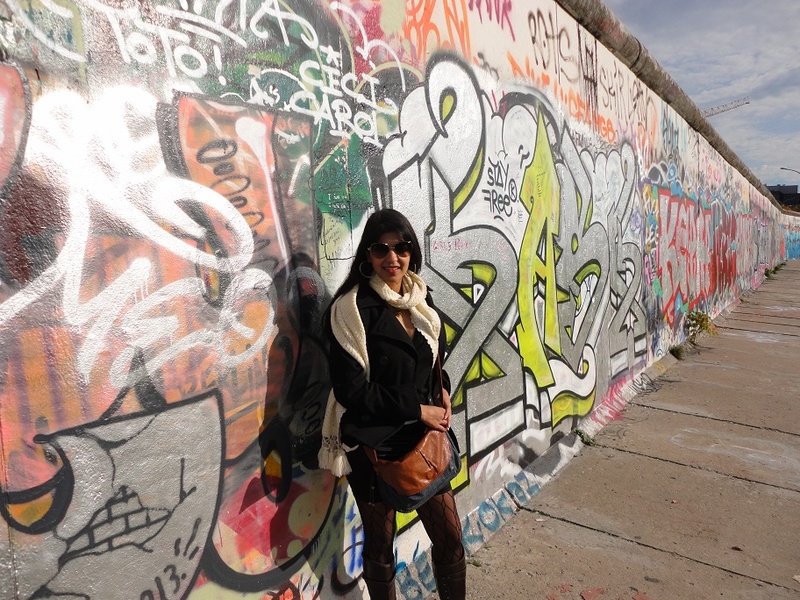 Here are a few pictures that Anjli and I took at the wall. We happened to chance upon a piece that was currently being worked on by artists. Anjli and I snapped a few photos. Check them out. 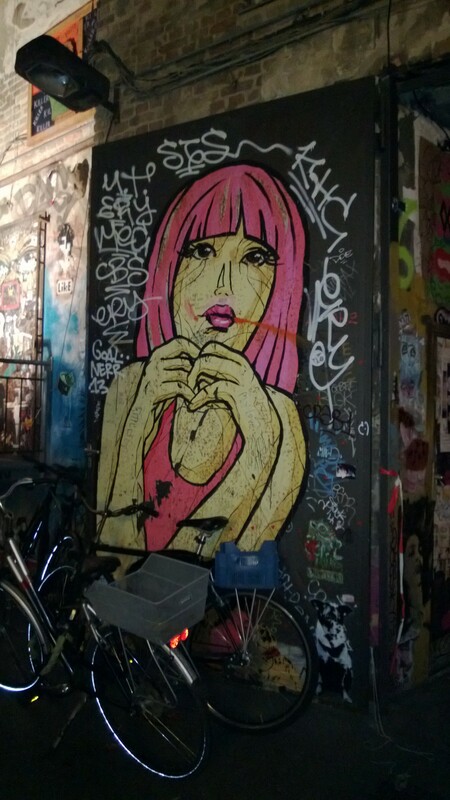 Just from walking around Berlin, we saw so many incredible pieces of graffiti art. 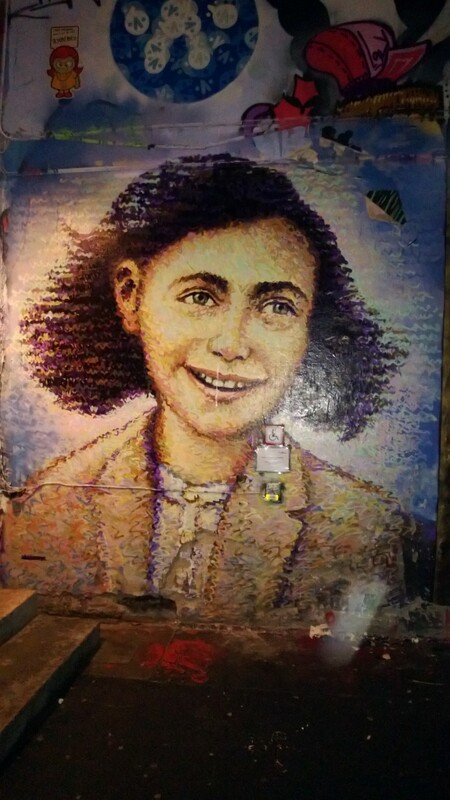 Here are a few more that we found in random streets around Berlin, including a beautiful piece depicting Anne Frank smiling. 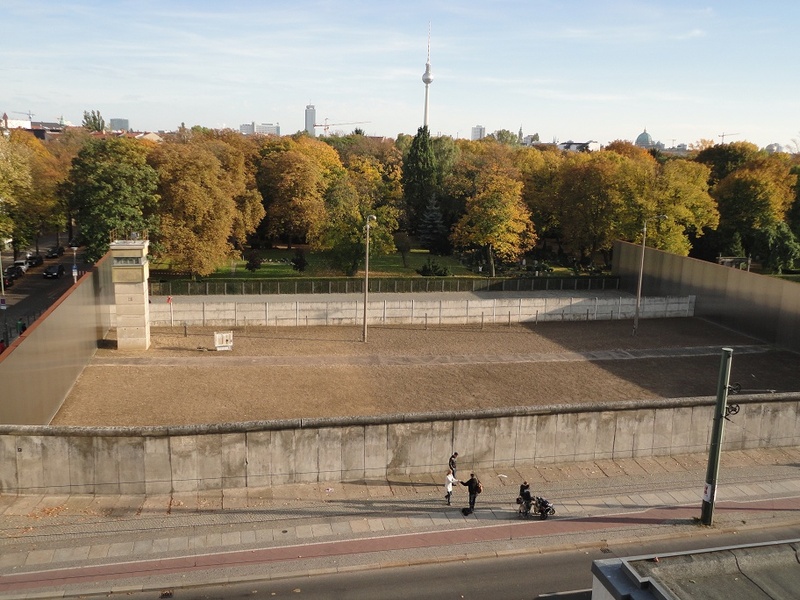 There were markers in the ground at the memorial where tunnels were dug to escape the GDR and where the wall once stood. One family even built a home made hot air balloon to escape to the West. The memorial also listed the names of over a hundred people that lost there lives trying to escape during the almost 30 years that the wall stood. On Day 3, we visited the Sachsenhausen Concentration Camp (Wikipedia), the first of the many concentration camps installed by the Nazis. I will not write about it here because it’s frankly too emotionally draining to recall the cold October day we spent there walking the grounds, reading, learning and reflecting about the lives lost there. I will say that no trip to Berlin is complete without visiting here. That wrapped up our trip to Berlin. 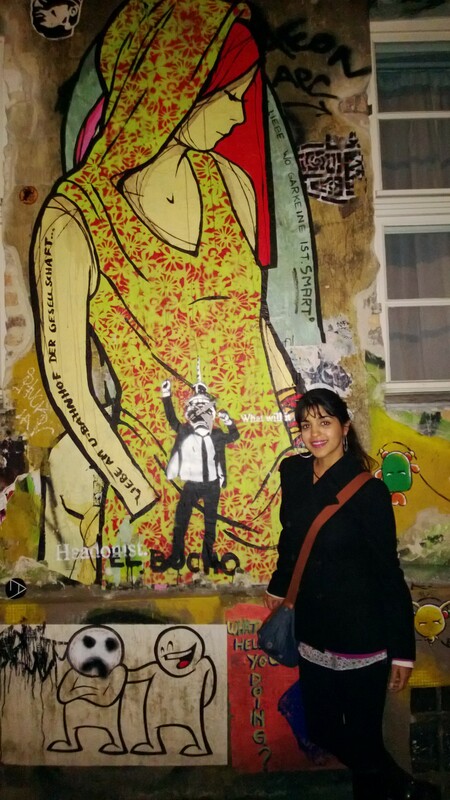 We spent time exploring Hackesher Market and the many alleys, bars, restaurants and street graffiti. We had an amazing time in Berlin. Definitely a highlight of our trip so far. 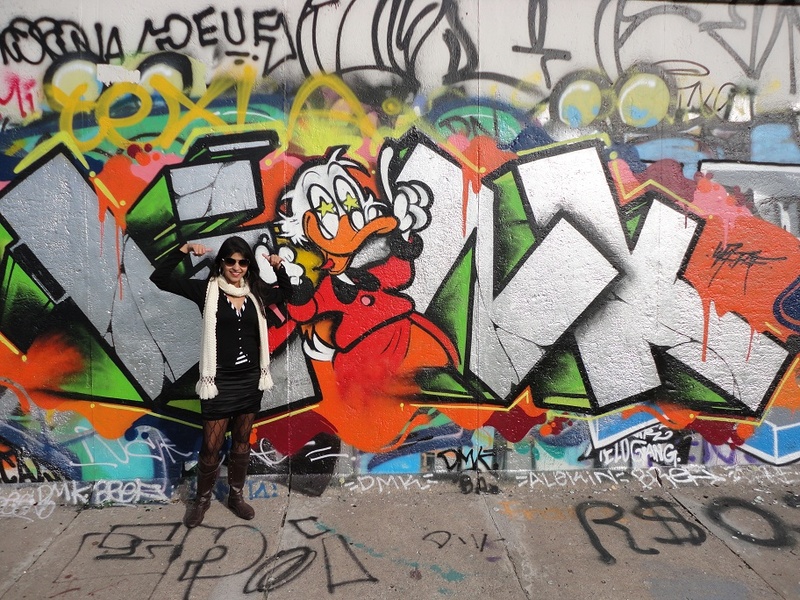 Our time in Berlin was up and Copenhagen was calling our name.